This is a family favorite recipe, I remember my mom making this often. In fact it when Mr.Picky ate this for the first time, became his favorite meal. I remember making this casserole for him on our 1 year anniversary, and packing the whole pan to the park to eat as a picnic. It is an easy one dish meal that is quick to put together. This recipe works great to put together the night before, and put in the oven the next day. Plus who doesn’t want to use up the crumbs and crushed tortilla chips at the bottom of the bag? Start by browning up ground beef, once it is almost all brown add in onions, water, and seasonings. Allow to cook for a minute or two, and add in tomato sauce. Simmer for 15 minutes and set aside. In a bowl combine sour cream and cottage cheese until well combined. Grease a 9×13″ pan lightly, and preheat oven to 375 degrees. Place a thinly layer of tortilla chips in the bottom (about half the chips). Next spoon as evenly as you can half of the meat mixture. On top of that spoon dollops of the white mixture. Repeat layers again ending on the white mixture, top with shredded cheese. Bake at 375 degrees for 30-40 minutes until bubbling and starting to brown. Allow to cool for 10 minutes before serving, a bit of salsa goes great on top! *Variations: sometime I will add a layer of corn or sliced olives just below the shredded cheese. Posted in One Dish Meals and tagged Beef mince, Cheese, Chili powder, Cottage cheese, Crushed red pepper, Garlic, lasagna, Onion, Sour cream, Spice mix, Tomato sauce, Tortilla chip. Bookmark the permalink. I love to dip and eat tortilla chips, salty and savory is what I crave. Not super fond of a guacamole with no chunky goodness. This is how I make my guacamole. Mix with a spoon until desired texture is reached. 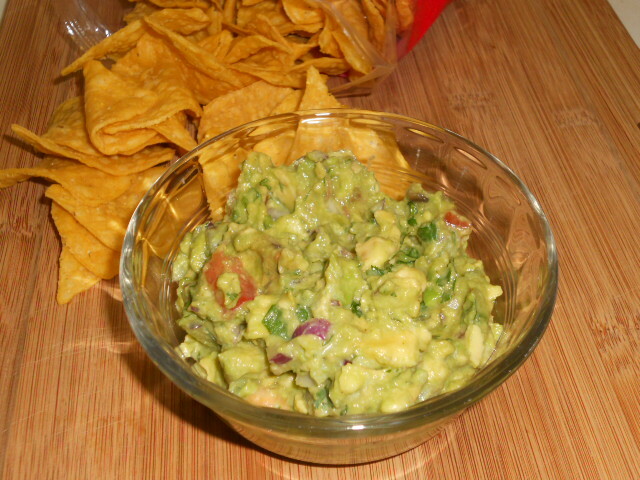 Refrigerate with the pit of one avocado in the bowl, this will keep your guacamole from browning. Serve with chips, veggies, or as a topping. 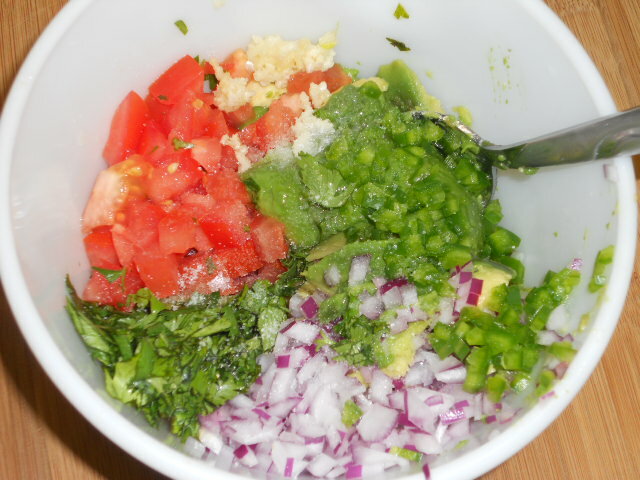 Posted in Appetizers, Recipes and tagged appetizer, Avocado, chips, Cilantro, COOK, Cooking, dip, Garlic, Guacamole, Home, Lime (fruit), onions, Recipe, Refrigerate, tomatoes, Tortilla chip. Bookmark the permalink. Mr.Picky is not a fan of soup. Surprise, surprise Mr.Picky actually liked this recipe. I tried this recipe out over a year ago and have made it over and over since. 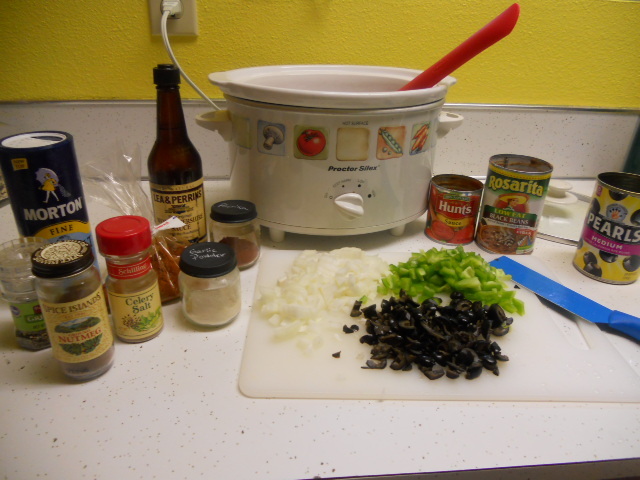 I have adapted some of the seasonings from the original post Crock Pot Chicken Taco Chili. The original recipe seemed a little too spicy for my kids, it contained both a taco packet and addition seasoning. I didn’t use a packet of seasoning so have substituted my own seasonings. I cut out the junk in the taco packet seasoning and I feel the flavor was much better. This is a great meal that is quick to throw together, but tastes amazing. 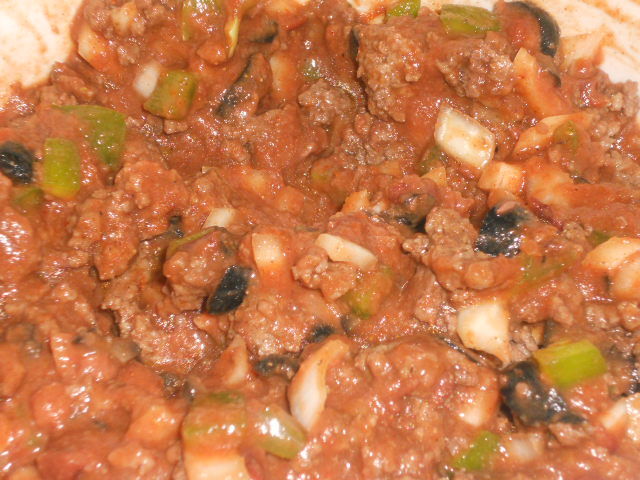 We usually add cheese to our chili but I have found you don’t even need it with recipe. It is great with crushed tortilla chips added and fresh cilantro on top. 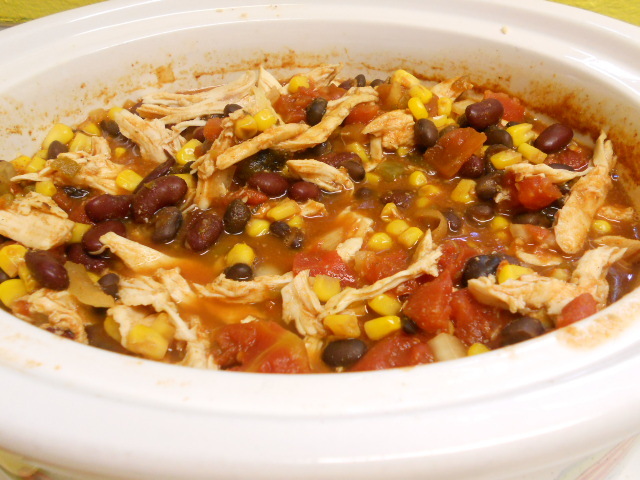 Combine all ingredients in a slow cooker, except chicken. Stir until combined and place chicken breasts on top. Cook on low for 10 hours, or high for 6 hours. 30 minutes before serving remove chicken breasts, shred and mix back into chili. Posted in Crockpot, Recipes and tagged Chicken, chili, Chili powder, COOK, corn, crock pot, Garlic, Home, Slow cooker, Sour cream, Tortilla chip. Bookmark the permalink.